All graphics are available for download by clicking on the file format, right clicking on the image and saving the image to your computer. When reducing the size, please keep the images in proportion to their original dimensions. 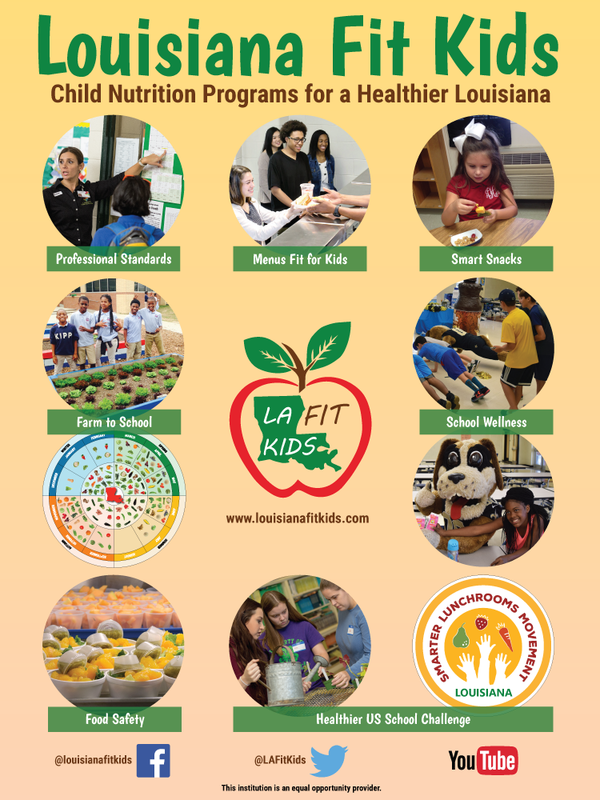 If a larger or higher resolution JPG or PNG is needed, please contact louisianafitkids@pbrc.edu. Increasing the size or changing the dimensions of the graphics will result in distortion.